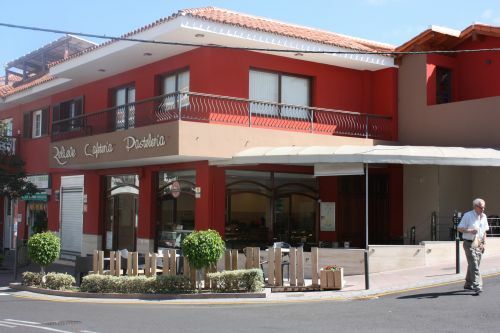 Boutique Relieve cafes of Tenerife. Boutique Relieve a Tenerife brand. 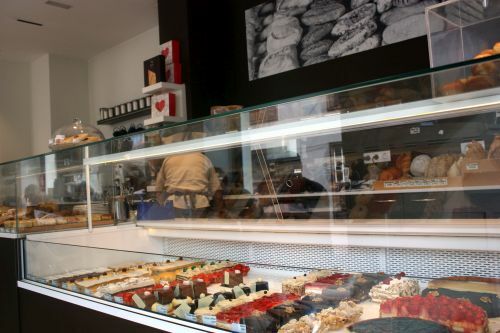 Boutique Relieve is a Café, Cafeteria, Pasteleria and a Panaderia(bakery). It has made itself a name for serving good coffee. However, there are also delicious pastries. All have affordable prices. The waitresses smile and are very helpful. Business hours are every day from 7h00 to 21h00. There are three Relieve Cafes by now. Boutique Relieve of Toscal Longuera. Above, see the Relieve cafe that set the ball rolling in the Eighties in Toscal Longuera of Los Realejos. It was still only a bakery when I arrived in the suburb in 2001. More about it later. Some cakes by Relieve Cafe. My list of all the delicious cakes by Relieve would be long. Often, I order plain cheese cake. I am also very fond of the strawberry tart or pastries with or without fresh cream. 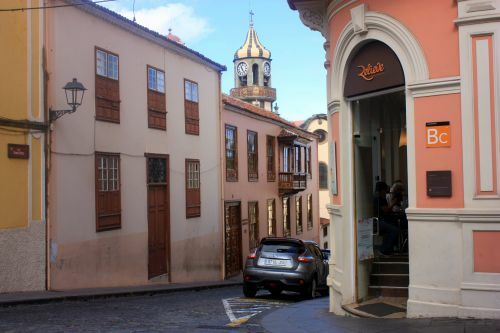 We had a slice of Tiramisu in the Orotava Relieve last Sunday. It was amazingly light and melted on the tongue. Mind, you will pay much for that when you order it at a restaurant as dessert. Something savory at Boutique Relieve? Sometimes, I order a slice of simple potato tortilla. It doesn't pay me to prepare an entire one for myself at home, you know. Of course, there are also Boccadillos and toasted sandwiches. It's the best according to my friend Paolo and people in Toscal Longuera. I agree as far as the Relieve Espresso i.e. Cafe Solo is concerned. Not bitter, as so often but with a pleasant round taste. This also applies to the other Relieve cafeterias. Paolo is a connoisseur of coffee beans and a native from Sardinia. How Pastelaria Relieve became a cafe. This Bakery of Realejos made itself a name for quality and price by its cakes, already three decades ago. Many expats and people with a holiday home in Tenerife in La Romantica 1 and 2 as well as in Los Potreros decided to stop baking and to buy instead. 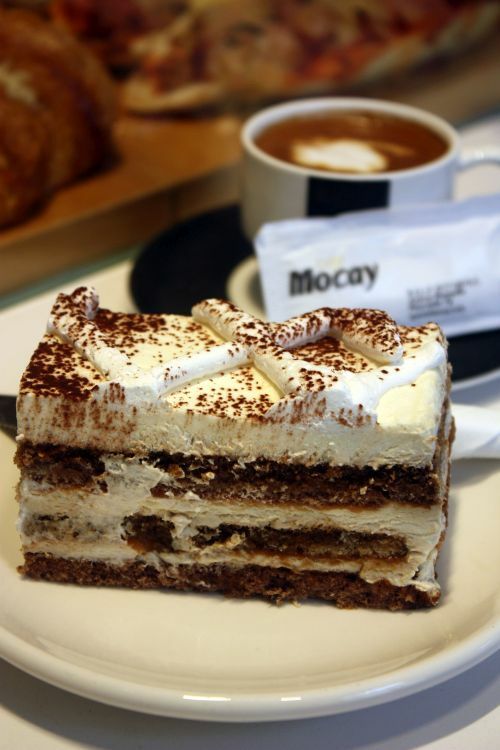 Eventually, Relieve was the pastry and cake shop with the best turnover in the suburb Toscal Longuera. Being further down the road near the Shell Service station didn't deter shoppers. Much later, a roofed extension was built and the pastry and cake shop became a street corner cafe. 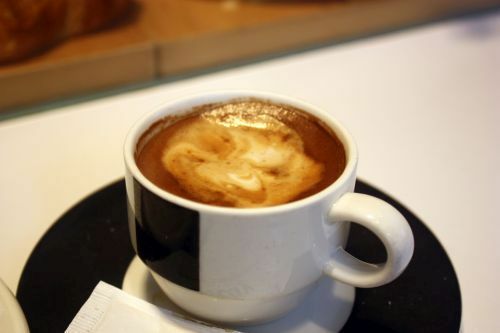 More and more locals turned into daily customers when a new coffee was introduced. Today, you can even sit outside there with your dog. Of course, Relieve has the certificate of excellence. Anything special at the founder café? Indeed, you can purchase all sorts of organic teas packed in brown paper. Also, there are enticing tarts of sizes that are ideal to take home for three or four servings.